Enjoy the top 3 famous quotes, sayings and quotations by Claire Gillian. “Encouragement from any source is like a drop of rain upon a parched desert. Thanks to all the many others who rained on me when I needed it, and even when I foolishly thought I didn't. 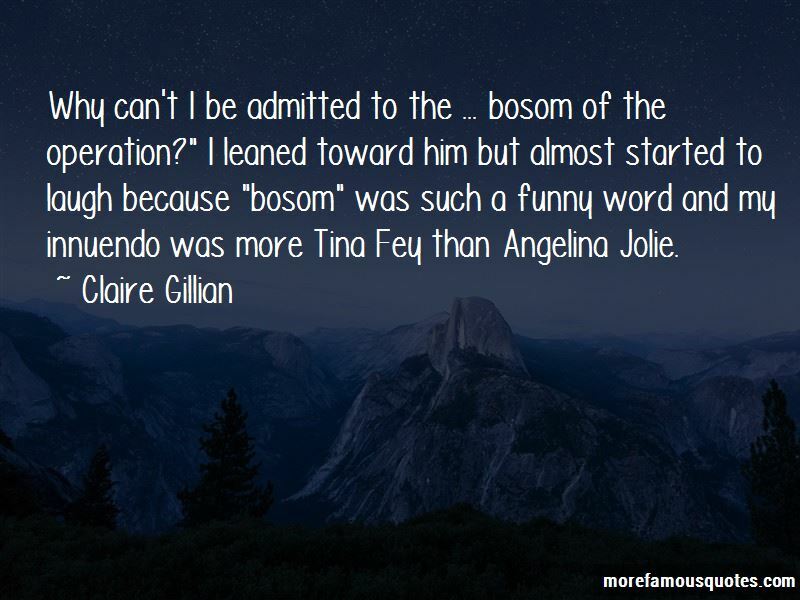 Want to see more pictures of Claire Gillian quotes? 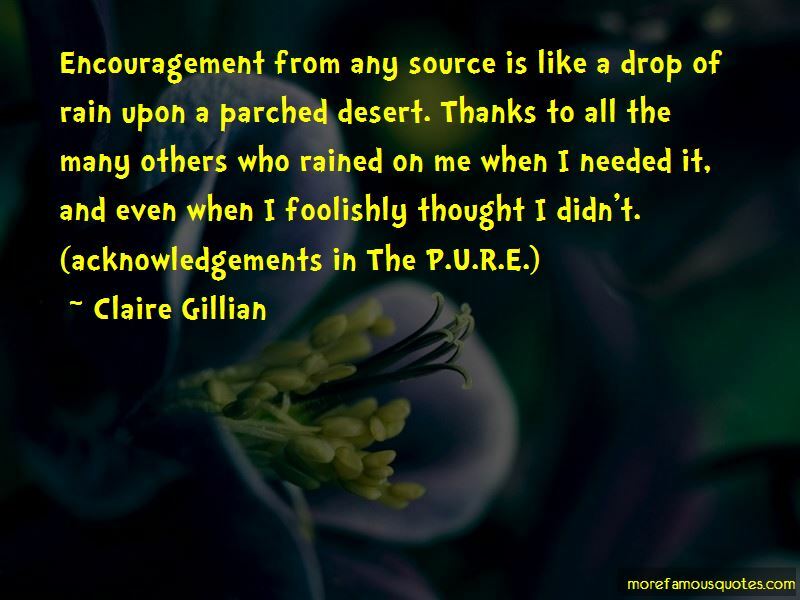 Click on image of Claire Gillian quotes to view full size.